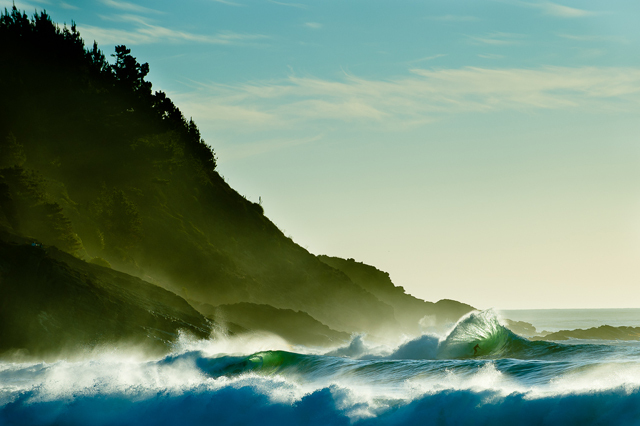 Surf photographer Chris Burkard, born and raised in Central California, has taken the industry by storm – there is no doubt about this. At only 21 Chris has been picked by surfline.com as a senior staff photographer. At that time, surfline already described him as „the hottest young surf photographer in the industry today“. 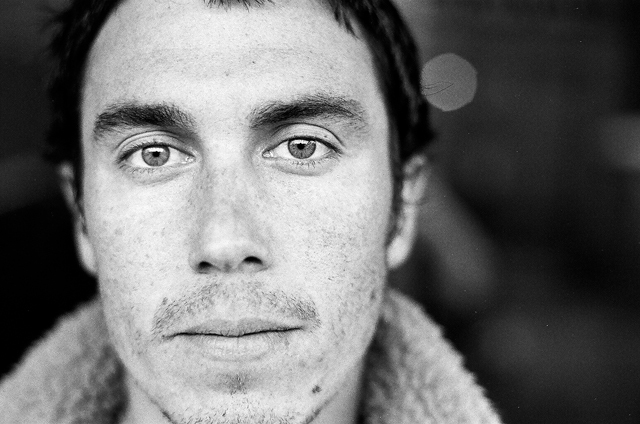 Two years later at the age of 23 the California native won the 2010 Red Bull Illume Contest. His image of surfer Peter Mendia (see above) riding the waves off Chile’s West Coast won universal praise from the judges and from the surfing community alike. Nothing really changed for Chris in 2013. 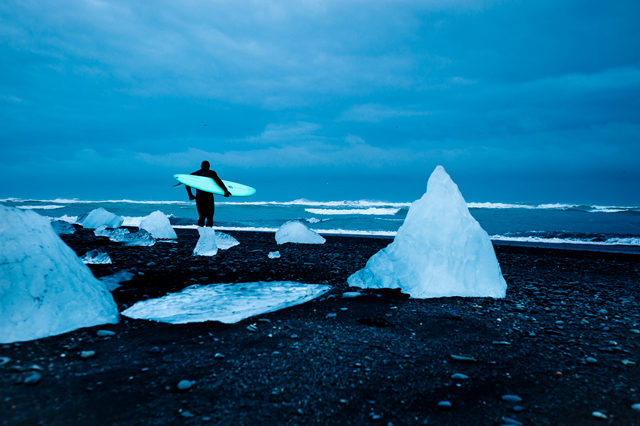 He currently serves as staff photographer for Surfer magazine and keeps exploring the world: Whether it’s Cuba, Iceland or any another place – the passionate nomad is constantly on the road to find a perfect moment and a perfect place to create a perfect image. Whudat had the chance to talk to Chris about photography, the changes in surfing, his travels, his artic experiences and new media. Get into it. Hey Chris, where are you right now and what was the last thing you did before we started this interview? I’m in Central California. Just got back from a trip to Cuba. Cuba? Sounds interesting. We’ll get back to this later. First, please give us an insight into your background! 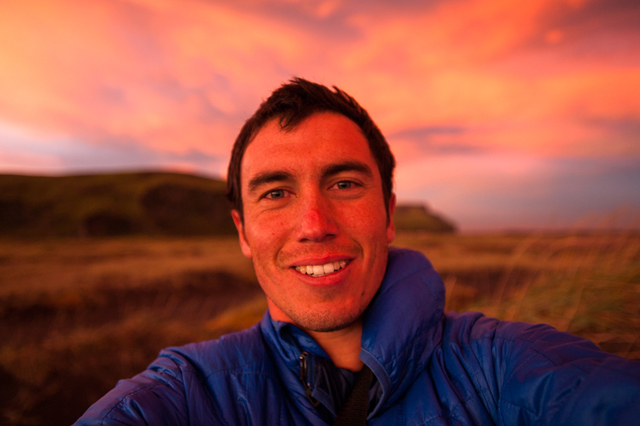 Who is Chris Burkard and where is he from? 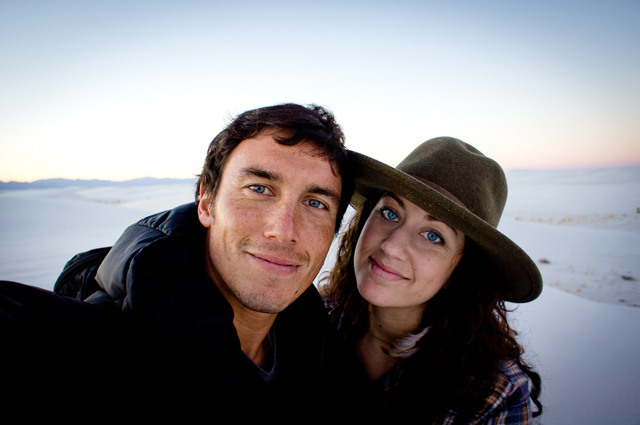 I am 27 years old and live in central California with my wife Breanne and my son Jeremiah. 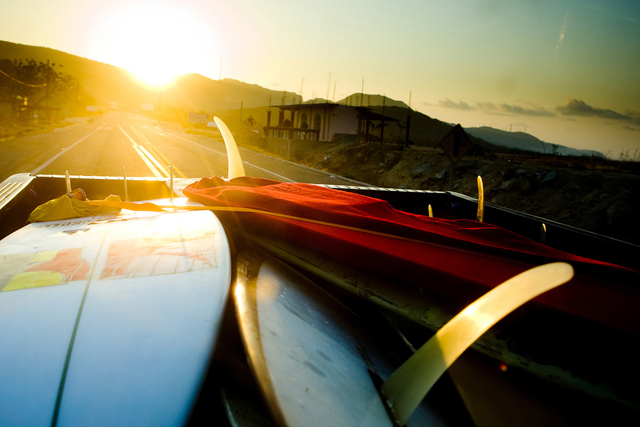 I was born and raised in the simple surf town of Pismo Beach. It doesn’t get much attention for its surf and is better known for its dunes, harbor, and clam chowder. 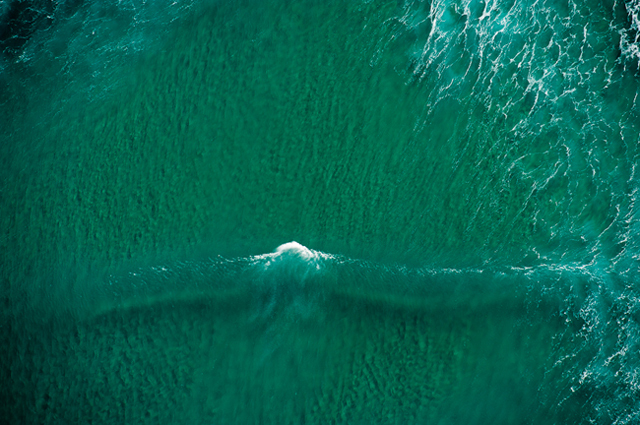 I grew up surfing and bodyboarding the fickle reefs and beachbreaks around central California. 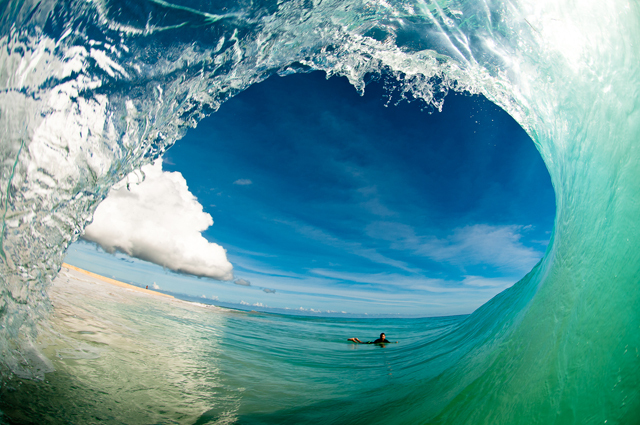 When and why did you start surf photography? When I found that the camera was a creative outlet for me I got hooked trying to learn as much as I could. I combined this with my passion for being in the water and started shooting surf images of my friends. This helped me land an internship at TransWorld Surf and I kept growing from there. So you are in the surfing business for quite a while now. The business and the sport has changed over the last five – ten years. 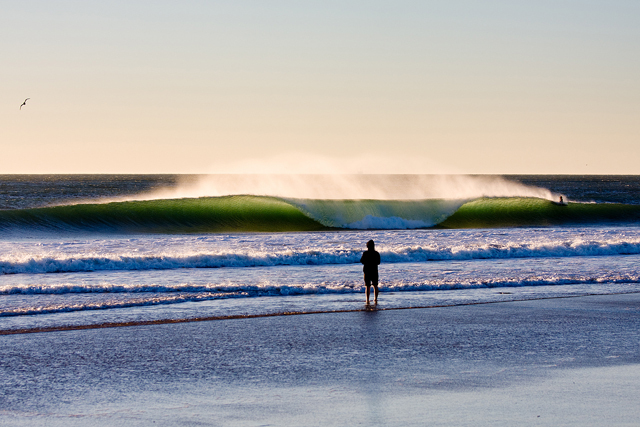 What are the biggest changes that surfing is confronted with currently? The abundance of surfers, surf photographers, and the overall presence of surfing has really blown up. The connection that one can have to the surf world these days is crazy. Someone can post a photo from their surf session ten minutes after they’re out of the water and it’s public on the web. Surf media is pretty far reaching and a lot of it is due to the Internet and Social Media. A while ago the only way your photos could be seen was through a magazine. Now I can post a photo on my social media channels and it will probably get more views there than it might anywhere else. It’s a wild progression. Is this a good or bad trend to your mind? To me it’s good. I think photographers are here to tell stories through pictures. Sharing those images and the stories within them is a positive action. The more exposure and more accessible my images are makes for a wider audience which is great. You are pretty active in social media. Your own accounts on Instagram, Facebook, Twitter have a strong reach. How much time do you spend on self-promoting yourself each week through your own channels and what is the most important channel for you? I’m on my social media outlets daily. I am busy responding to questions or business inquiries through Facebook. It’s almost like a secondary e-mail. I post twice or three times daily on Facebook. I invest a lot of time into that. I think Instagram is the most personal of my accounts because it allows viewers to see real time pics of my travels and following along in the journey. All of the social media channels have their place though and are great resources. What can you recommend other up and coming photographers in terms of self-marketing? What should they do to get attention for their work? I would recommend pushing your photography through multiple channels through the web as we’ve been discussing. At the same time it’s also important to make contacts. Align yourself with like minded individuals, photography communities, and companies that share your vision. Intern or apprentice for professionals that can help you develop a sense for the business side of photography and at the same time you’re your own skills. Research what other photographers are doing and take their marketing into consideration when you market yourself. As far as getting people to notice your work, it is important first and foremost to focus on your imagery and make sure you are creating a unique image that speaks to your audience and connects with them. Looking at the rapid and continuous changes in the digital world and the internet/ smartphone globalization how long will people still buy print outlets of surfing magazines? That’s a tough question. I’d like to think there is always a place for print magazines. There’s something you can’t substitute to holding that physical copy of a print and having that tangible image in your hand. In the same way that there is a place for books and e-books, I think there’s a place for print magazines and online magazines. You just came back from Cuba. What did you do there and what did you brink back from the trip – in terms of photos, experiences, memories…? I was in Cuba shooting a clothing brand mainly in street scenes and cruising around town. I was immediately blown away by the lighting and color in the city. Time seems to stand still there. I played some soccer on one of the first nights with some great spirited local boys. Another great memory there was jumping from the great ocean road in Havana. It was both funny and scary. Overall the trip was eye opening. I met some amazing people and I look forward to going back someday. Isn’t it super complicated for an US-citizen to enter Cuba? People tend to think you have to jump through tons of hoops to enter Cuba. I didn’t find it to be that way. We flew into Mexico and from there once you are out of the US it becomes much easier. It seems like you are usually more drawn to the cold. 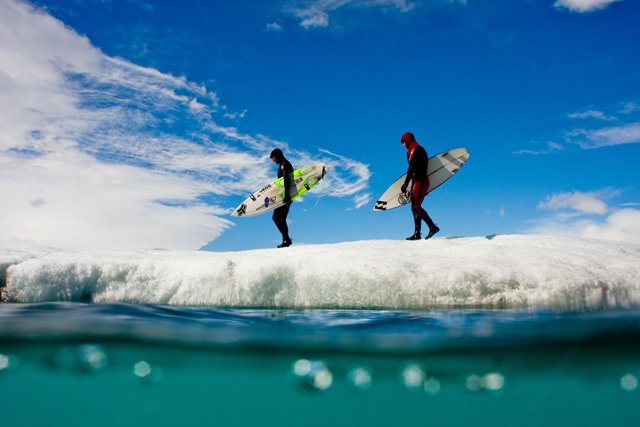 In total, you already did 11 arctic surf trips. What’s so special for you to embark on these trips over and over? It’s the opposite of the comfortable tropical beach at sunset, and that’s what I think I love about it so much. 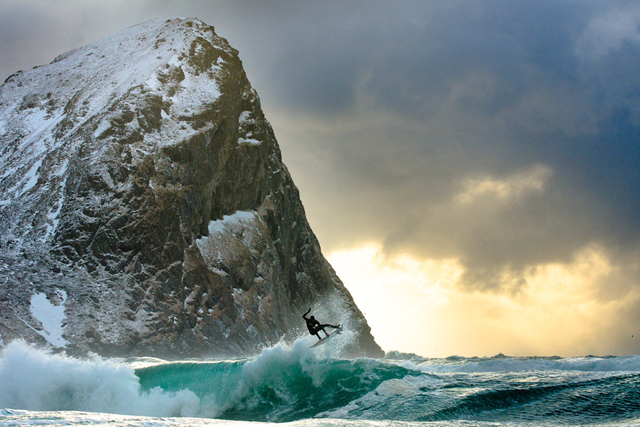 The backdrops and setups you get on those cold-water trips are like nothing I’ve ever seen. When you’re shooting in the water in a place like Norway, it’s not about trying to stay comfortable, but trying to be smart and stay alive. It’s really a battle against the elements. But I think that’s sort of what draws me to shooting in really different and often times frigid locations. 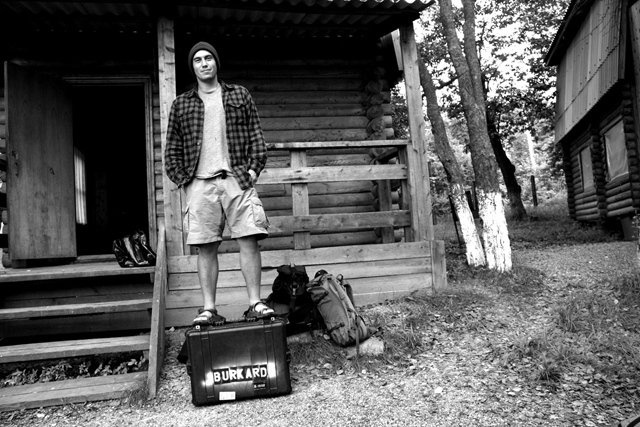 What are your most essential travel products when you go on an artic surf trip? In terms of camera gear I have my Nikons, Sonys, waterhousings. When I’m off the beaten path Goal Zero makes a must have line of solar charging products that keep my batteries and gear charged. I’m fortunate to be backed by some great companies that keep me dialed in for travel. Products: Nikon d300s, Nikon 7100, 70-200mm lens, 17-55mm lens, Phoenix headlamp, Gerber steady multi tool, Gerber Hatchet, HDX hydration mix packets, Clif Bar shot gels, Goal Zero Rockout speakers, Goal Zero Yeti charging station, Topo Design bag, Pelican case, Induro tripod, Del Mar housing, Sony NEX6, Sony NEX7, 18-200mm lens, 16mm lens, 24mm lens, 50mm lens. Graphic by Gerald Behrendt. Looking back at all your trips what are your favorite and worst memories? Some of my favorite memories come from Iceland. I have a special attachment to that country after being there on 9 different trips. It’s helped to define me as a photographer. A few years ago I had a very memorable trip to Christmas Island. The island is so remote in a way that let me have this really intimate experience with the culture and the locals. The children took me in, made me feel at home, brought me to church. It was emotional and unforgettable. As far as worst memories, I’ve lost all my gear before in a shipwreck. This drunken sailor crashed our boat in Chile and all my cameras flooded. That was pretty heavy. Back during the California Surf Project trip I remember getting the worst Poison Oak of my life during a sauna in the Humboldt forest. That was a total bummer. No doubt, your job is not an easy task. You travel a lot offroad, you visit places no one else would go to and spend a lot of time in the ocean with dangerous currents and house high waves. 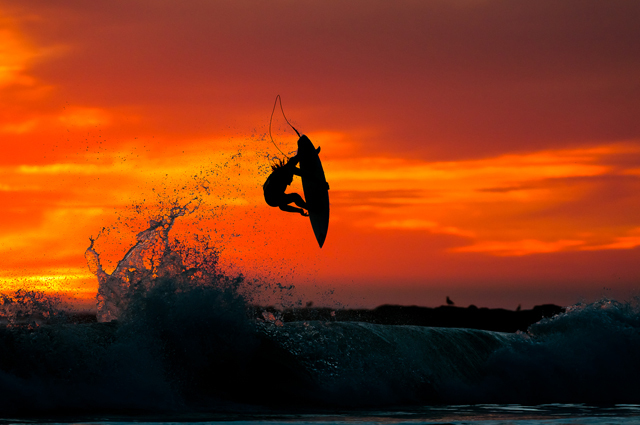 What were the most dangerous situations you faced so far when photographing surfers? The conditions are always varying and usually pretty harsh. It’s not like other photography assignments, where you may have time to set up your lights and set up your shot. Every moment is changing. You can never create a scenario over. You’re dealing with uncontrolled scenarios, you’re dealing with uncontrolled weather, tide, and swell, and your surfer, so there are about five different factors every single time that you’re hoping will come together. Even when everything goes right, something still goes wrong! That’s the trickiest part. What are these five different factors? And do you have a shot where these five factors came nearly together? In addition to the camera you have weather, tide, swell, and your surfer. From within the water that is tricky to achieve. I would say positioning is key as well obviously. You can see evidence of this in barrel shots or just moments of peak action that catch the viewers eye. You follow surfers all around the globe to shoot them. 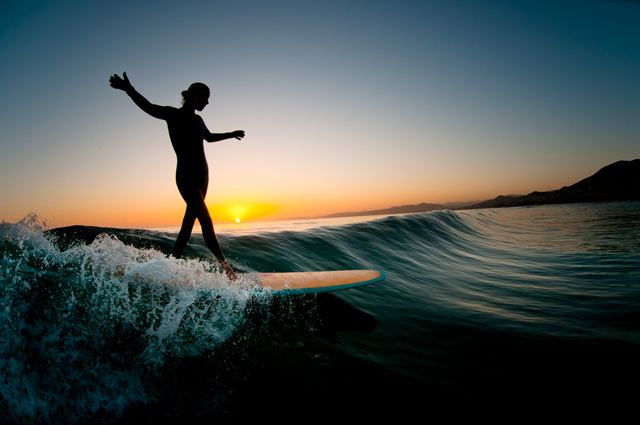 Do you still have time to surf for yourself and where would you like get a picture of yourself surfing? Yes, I’m still able to put in some water time while on surf trips or back home. 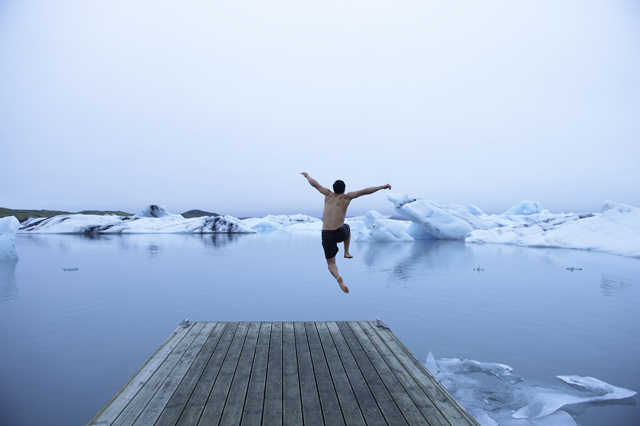 I love body surfing as well and would love to get a shot of myself body surfing in Iceland. I imagine in a few years to be a little more settled. I don’t plan to be traveling as much. I hope to have a solid business with multiple assistants and a great framework to my photography. As an artist I want to progress and continue to grow in my work and also with my family as a husband and a father. I’m excited by the future. Chris, thank you so much for the interview? Any last words for our whudat.de-readers? Thanks so much for the feature. I’m excited to be reaching out to Germany and to the Whudat-community. I appreciate all the support and inspiration. That’s why I do what I do. 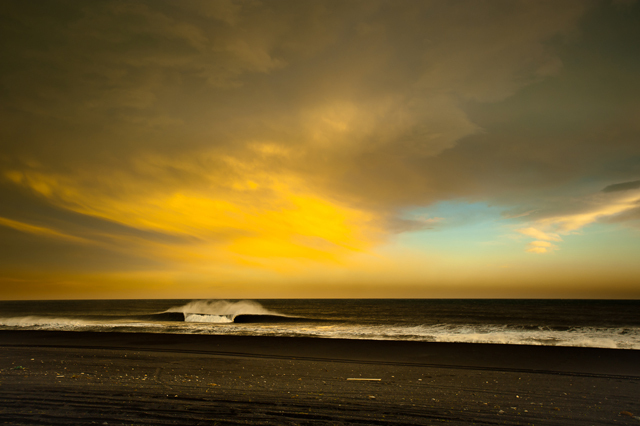 Here is a special selection of Burkard’s personal favorite shots. Enjoy! 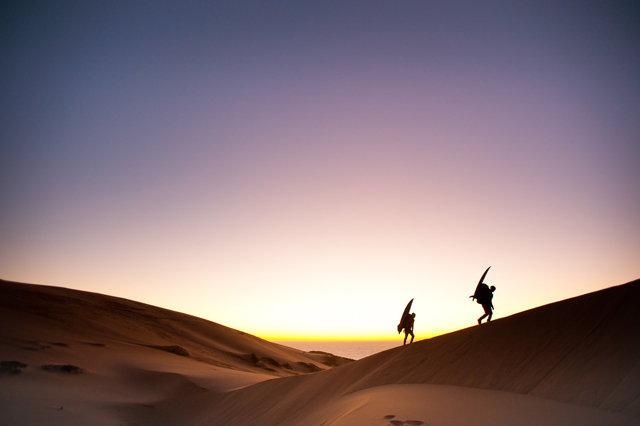 You won’t believe it, but this is Central California: Dan Hamlin and Shaun Tract surf-hiking. Nate Tyler in Central California: Sundowner Air! Stattliches Interview. Ich folg dem Herren schon längere Zeit bei tumblr und krieg ständig Fernweh, wenn ich seh, wo der immer rumturnt. Die Bilder sind so krass.